New York, NY – The AKC® Humane Fund is pleased to announce the winners of the 18th annual AKC Humane Fund Awards for Canine Excellence (ACE). These awards celebrate five loyal, hard-working dogs that have significantly improved the lives of their owners and communities. One award is presented in each of the following five categories: Uniformed Service K-9, Service, Therapy, Search and Rescue and Exemplary Companion dog. This year’s winners range from a retired show dog that helps children learn to read to a family pet turned narcotics detection K-9. All of the ACE recipients will receive $1,000 to be awarded to a pet-related charity of their choice, a one-year pet insurance policy from AKC Pet Insurance, and an engraved sterling silver medallion will be presented to each at the AKC National Championship presented by Royal Canin in Orlando, Florida held on Saturday and Sunday, December 16-17, 2017. “K-9 Duke” is a two-year-old Doberman Pinscher serving San Mateo County, California. He is certified by Police Officer Standards & Training (P.O.S.T) & California Narcotic Canine Association (CNCA). At eight weeks old, Duke was purchased by Detective Sergeant Ed Soares as a personal canine companion. After accompanying Sgt. Soares to a meeting at six-months-old, Duke was quickly enrolled in intensive training to become certified in narcotics detection. Duke has since been incorporated into the Menlo Park Police Special Investigation Unit, deployed during traffic enforcement stops, parole and probation searches, and narcotics cases all throughout the county. Duke also assists other agencies in narcotic investigations and is credited with finding tens of thousands of dollars in illegal narcotics and firearms during his career. When Duke is not paroling the streets of San Mateo, he acts as an ambassador for his breed. He attends educational functions at schools, community events and hospitals where he meets and greets children and the citizens he and his team serve. According to Detective Sgt. Soares, Duke is his best self when he is around children. In 2016, the Doberman Pinscher Club of America board and officers named Duke the club’s honorary mascot. “Gunner” is a three-year-old Great Pyrenees certified as a mobility assistance and PTSD service dog. After serving most of his adult life in the US Army, D. Hamilton Kinard medically retired in 2010. Kinard was paired with Gunner in 2013 after Hamilton was considered 100% disabled with total body nerve damage, a severe traumatic brain injury (TBI) and severe post-traumatic stress disorder (PTSD). Gunner braces Kinard so he can stand and even pulls his wheelchair on his bad days. The Great Pyrenees’ kisses return Kinard to reality when he suffers from chronic flashbacks. In 2014, Gunner inspired Britnee Kinard to found the SD Gunner Fund, a nonprofit organization providing disabled veterans and children with the financial means to obtain and maintain service dogs. Gunner also became the first mobility assistance TBI Service Dog to be approved by the Department of Veterans Affairs in the Southeast Georgia Coastal Region. In 2015, Gunner was honored along with the Kinard family as a Lincoln Award winner in Washington, D.C., at the Kennedy Center. Later that year, Gunner and the Kinard family were presented with the Distinguished Alumni Award for Community Service at Middle Tennessee State University for their continued dedication to helping others and spreading service dog awareness. Gunner visits schools, military installations, state and federal government entities, and universities all over the United States to raise awareness. “Dennis,” officially known as CH Seamist Big Man In Town CD BN RAE THDA, was an eleven-year-old Skye Terrier bred and owned by Stephen P. Hersey. 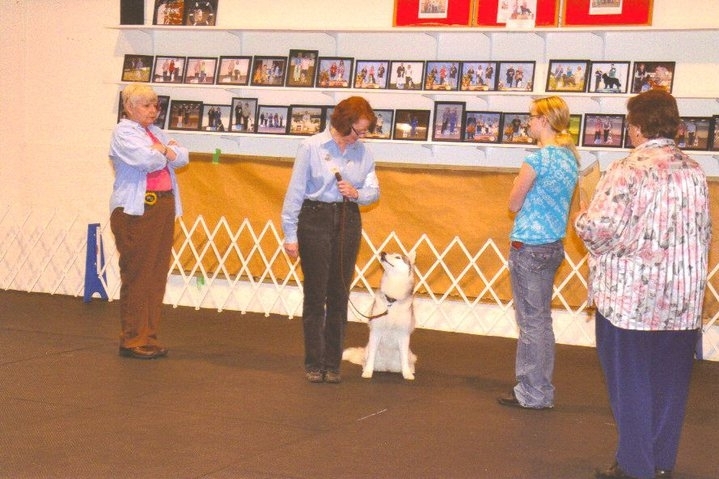 Certified by Therapy Dog International, Dennis has left nothing short of a legacy behind. Over the past seven years, Steve Hersey and Dennis had spent countless hours working in several areas of therapy work. Dennis visited a special autistic friend on Thursdays for the past six years and helped him build confidence and independence. He also participated in a Therapy Dog International reading program called “Tail Waggin Tutors” which allows children to read to dogs to help improve literacy skills. Illustrative of Dennis’ impact is a beautiful and moving letter from a parent of two boys in the program describing how her sons have grown into “reading machines” thanks to Dennis. She stated that her sons’ love for dogs has grown as well. Unfortunately, Dennis passed away earlier this year after a life of helping others. Dennis’ work as a therapy dog has impacted many hearts and will always be remembered. His daughter, Evie, will accept the ACE Award on his behalf Following in Dennis’ pawprints, Evie is currently training to become certified as a Therapy dog as well. 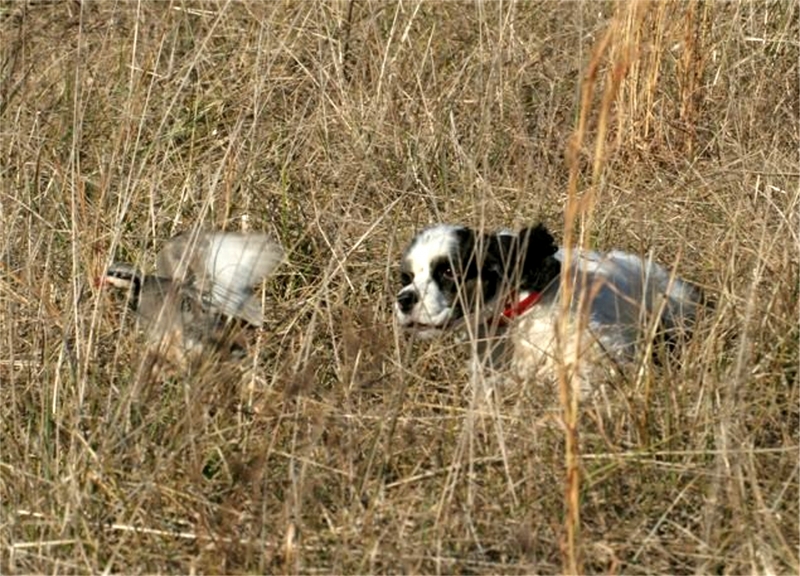 “Piglet,” a six-year-old Catahoula Leopard Dog, is rigorously trained and certified to find human remains on land and in water. Each year Piglet and handler, Lori Wells spend hundreds of hours training, testing, and answering the call of duty for law enforcement agencies in California, Nevada, Arizona, and Utah. At nearly 7 years old, Piglet has built a reputation as an unparalleled search resource. Her case file is thick with an extensive list of grieving families who were granted some closure because of the grueling searches performed by Piglet and Wells. In one case, searchers had spent a week scouring a lake for a drowning victim to no avail. On day eight of the search, Piglet deployed and successfully recovered the person. In another case, she deployed in a remote wilderness area to assist in a search and Piglet was able to locate the subject’s remains. Her diligence and tenacity in this discovery provided a wife and nine children the answers they needed to move forward. Piglet is unique not only for her diligent work ethic and talented nose, but also for her infectious ‘smile’. She always lights up the room at community events and fundraisers and is happy to make new friends, human and canine alike. “Amber,” a two-year-old Cardigan Welsh Corgi, owned by Sonja Benavidez of Geneseo, Illinois, helped Sonja regain her happiness after a life filled with much pain and agony. After surviving Encephalitis in the early 1960’s, Sonja has overcome a coma, paralysis below the waist, braces and many surgeries, none of which stopped her from doing what she loved most – showing Cardigan Welsh Corgis. In 2013, a series of foot injuries had bound Sonja to a wheelchair which diminished her independence and motivation. Sonja received Amber about a year later, after helping a friend with a litter. 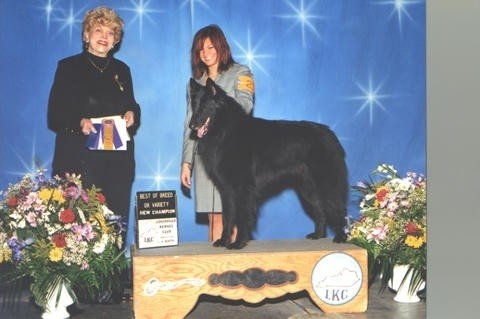 Just two-years-old at the time of her nomination, Amber is a Grand Champion. She placed in conformation, obedience, and rally at the 2016 Cardigan national specialty, and was Novice A High in Trial at the 2017 national. Additionally, Amber has earned a Canine Good Citizen Advanced title, is a certified therapy dog, and has met the requirements for the Cardigan club’s versatility award. 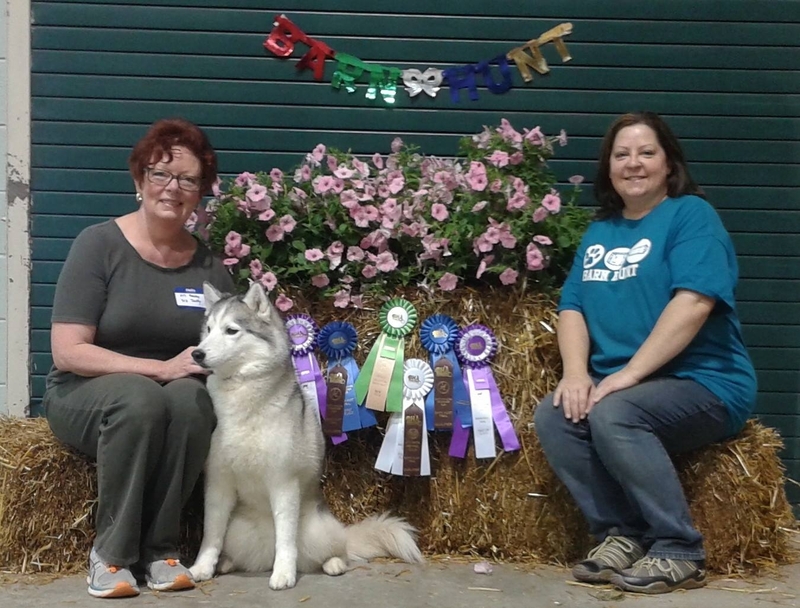 Amber and Sonja have been told that they are the best wheelchair dog-and-handler team ever seen in the show ring. Amber helped re-light the flame in Sonja’s heart and this dynamic team continues to inspire other disabled people to get in the ring. Read more about all of the ACE Award winners here. Click here to view and download imagery of the 2017 AKC Humane Fund ACE recipients.